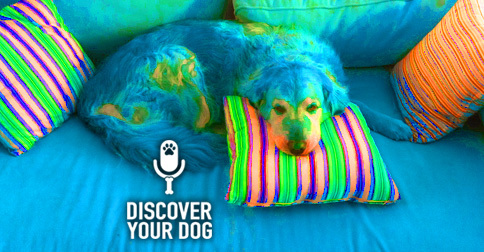 Ep 093 Get Off the Dog-Gone Couch! If you don’t want your dog to lounge on the furniture, we are here to help. Today, discover how to teach your dog to WANT to stay on the floor. 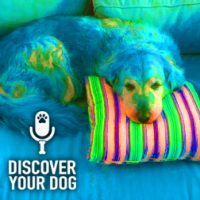 In this episode, you will learn a technique that you can use over and over again to train your dog. This episode is very furniture-specific. Remember to always state things in the affirmative when wanting to keep your dog on all fours. The goal is for your dog wanting to choose to stay on the floor. Remember the 10:1 rule! – Episode 050. Allowing your dog on the furniture – this may be a behavior that you may allow, but when you want them off the furniture, you want them to obey. If you are doing obedience training (which Bennie highly recommends, at the very least) – you should not use the word “down” when telling them to get off the furniture as this has a different meaning in obedience training. For some dogs, allowing them on the furniture could have a hierarchical meaning attached to it. If there is a behavioral issue that goes along with them being on the furniture, they could be becoming territorial with the furniture – see Territorial Aggression in episode 076. Sometimes these issues can be corrected by teaching the dog its place and she will no longer feel the need to exhibit the aggressive behavior. Bennie reminds us that basic obedience creates structure and rules for your dog that helps so many behaviors before they even become an issue. Trying to assert dominance – they may huff at you or growl at you if you try to move them on the furniture. Being possessive – They will take their toy and put it on a piece of furniture to make it their space. If you have a truly dominant dog, Bennie has seen some dogs challenge for the couch, yet this is very rare. How to teach your dog to stay on the floor—this is only for the families who do not want their dogs on the furniture at all. You must say it in the affirmative! Start out by sitting on the furniture, tempting your dog up on the couch while you are sitting there. Remember the goal is for your dog to choose to sit on the floor. Remember to have your leash on your dog for this exercise. If your dog jumps on the couch, get off the couch and use the leash to correct them by saying “no” and pull them off the couch. Try the exercise again and if they decide to stay on all fours and resist your temptation, then praise them. If your dog does this 10 times in a row out of 10 temptations, then it is time to move up to the next level of temptations. Then move onto someone the dog really loves sitting on the couch. If your dog does this 10 times in a row out of 10 temptations then it is time to move up to the next level of temptations. Then move onto a toy and throw it on the furniture. Then move onto a toy they love (which is a bigger temptation) on the furniture and remember to play with them after you throw the toy on the couch. Then move onto treats on the couch. This is part of the 3-correction rule—if she is too tempted 3x in a row, it is too great of a temptation. Do no more than 10 temptations in a day, and give your dog a day off during the week as well.